Clover is an ideal honey whenever you want a gentle sweetness. There is a hint of plums in its aroma & it brings a summery delight to the tongue. 100% pure NZ honey... darker the honey, stronger the flavour. White shadow patterns on Creamed Honey are caused by cold temperatures only. 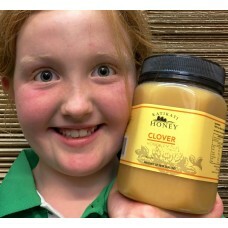 This is natural for creamed honey & does not affect the flavour or texture in any way.